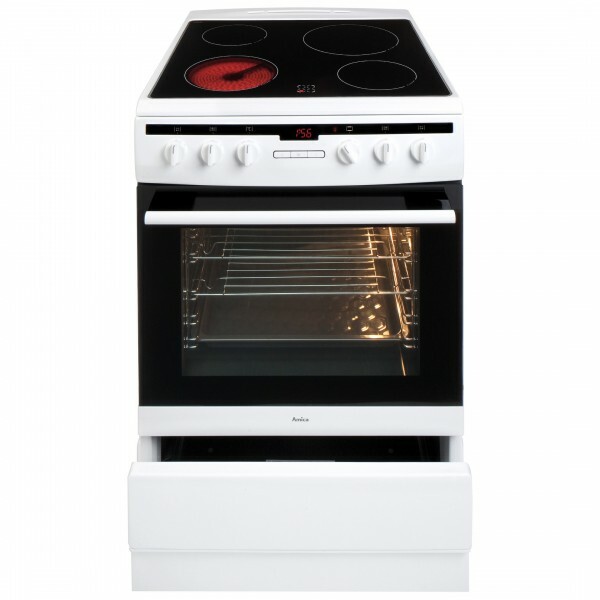 Product information "Amica 608CE2TAW Whi Electric Cooker"
The 608CE2TAW is a 60cm freestanding electric cooker with a ceramic hob top. The ceramic hob includes 7 power levels along with a temperature limiter and residual heat indicators for extra safety. The main cavity boasts 8 functions, including a defrost function and booster function allowing a rapid preheat. Related links to "Amica 608CE2TAW Whi Electric Cooker"